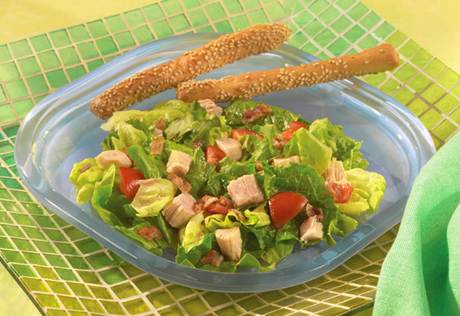 Bacon seems to make everything taste better, including this flavorful salad that uses canned chicken to make it easy. Layer the greens, tomatoes, chicken and bacon in a large bowl. Pour the vinaigrette over the top and toss the salad before serving.